The British government is trying to cover-up the lies it made with its false allegations against Russia. The cover-up necessitates new lies some of which we expose below. Yesterday the head of the British chemical weapon laboratory in Porton Down stated that the laboratory can not establish that the poison used in the alleged 'Novichok' attack in Salisbury was produced by Russia. This was a severe blow to the British government allegations of Russian involvement in the poisoning of Sergej and Yulia Skripal. Now the British government tries to hide that it said that the poison used in the Salisbury was 'produced in Russia' and that Porton down had proved that to be the case. 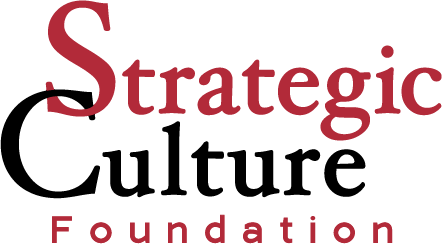 The government aligned media are helping to stuff the government lies down the memory hole. We all need to make sure that the new lies get exposed and that the attempts to change the record fail. 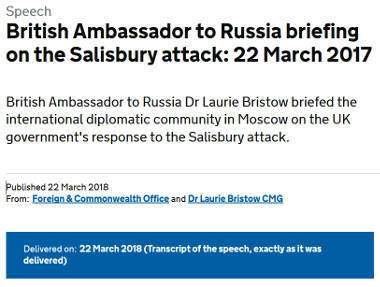 The March 22 tweet was part of a now interrupted thread which summarized a briefing on the UK government's response to the Salisbury incident given by the British Ambassador to Russia, Dr Laurie Bristow, to the international diplomatic community in Moscow. After it emerged on Wednesday that the tweet had been deleted, the Foreign Office said the post was removed because it "did not accurately report" the words of Laurie Bristow, the UK's ambassador to Russia, which the tweet was supposed to be quoting. All the tweets in the thread used quotation marks, but none was a literal reproduction of the ambassador's briefing. Only one of the tweets was deleted. A look at the transcript and video of the briefing shows that all the tweets, including the deleted one, "accurately reported" the speech. The cover-up of the false statement the ambassador made thus includes at least one new lie. 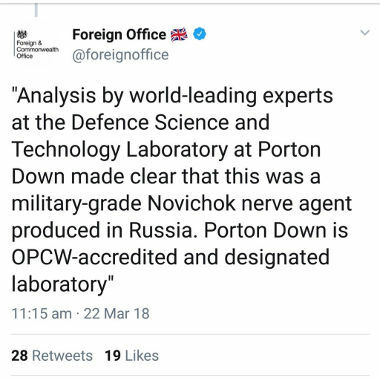 The original tweet said "Analysis by world-leading experts at the Defense Science and Technology Laboratory at Porton Down made clear that this was a military-grade Novichok nerve agent produced in Russia. .."
The transcript of the briefing in Moscow – "exactly as it was delivered" – is (still) available at the Foreign Office website. Four days later the analysts at Porton Down, the Defence Science and Technology Laboratory in the UK, established and made clear that this was a military-grade chemical weapon. One of the Novichok series; a nerve agent as I said produced in Russia. Porton Down is an Organisation for Prohibition of Chemical Weapons accredited and designated laboratory. There is also no doubt that Novichok was produced in Russia by the Russian state. … there is no doubt that the weapon used in the attack was the military-grade nerve agent from the Novichok series. This has been confirmed by specialists, our specialists. On Organisation for the Prohibition of Chemical Weapons mission is in the UK now to independently confirm this analysis. There is also no doubt that the Novichok was produced in Russia by the Russian state. The written "exactly as it was delivered" transcript of the briefing says "… that Novichok was produced …". 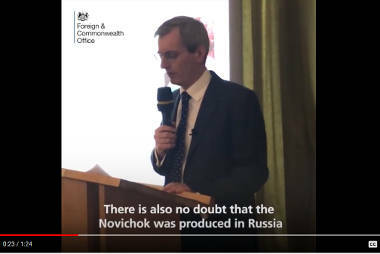 At 0:20 in the video I clearly hear the ambassador saying "… that the Novichok was produced …". A tiny but very important difference. The person who put the official captions on the official Foreign Office video agrees with what I hear and transcribed. The ambassador referred to "the Novichok", the Novichok he specifically mentioned earlier in the speech. The Novichok that he said had been detected by Porton Down. The transcript on the Foreign Office website leaves out the definite article "the". It makes it look as if the ambassador referred to some unspecified batch of the substance. The deleted tweet was a faithful rendition of what the ambassador said, it "accurately reported" it. The transcript the Foreign office posted on its website is false. The ambassador clearly accused Russia of having produced the very batch that Porton Down analyzed. Three days earlier Bristow's boss, Foreign Minister Boris Johnson, made the same false claim (vid at 5:32) in an interview with DW. Porton Down has now said that it made no such claim. The ambassador's claim was false. The Foreign Office attempt to cover this up by deleting its tweet and by posting a not-so-exact transcript only amplifies the falsehood of the original claims. The briefing continued to emphasize the "produced in Russia" meme. The phrase occurs four times. Russia’s claims that Novichok could have been produced elsewhere have no credibility. We have no information to indicate that this agent could have been produced anywhere else except in Russia. So we have no doubt that the nerve agent was produced in Russia. So the fact that the Novichok was produced in Russia, the fact that Russia has a history of state-sponsored assassinations, and the fact that Russia has responded with the usual playbook of disinformation and denial left us with no choice but to conclude that this amounts to an unlawful use of force by the Russian state against the United Kingdom. The Foreign Office may want to claim that all the above uses of "produced in Russia" were only references to decades old research and development in the Soviet Union, not to the "Skripal" case. The highlighted details shows that this is not the case. Any listener to the briefing surely got the impression that the UK ambassador was talking about the specific batch analysed by Porton Down. It highlighted paragraph of Ambassador Bristow's briefing includes several other lies. 'Novichok' agents can and have been produced in other countries than Russia. In 2016 five nerve agents of the 'Novichok' series were synthesized by Iranian scientists in cooperation with the OPCW. Details of their production process were published. In 1998 the US Army’s Edgewood Chemical and Biological Center produced and catalogued 'Novichok' agents.  It added the data for the substances to the National Institute of Standards and Technology Mass Spectral Library. The data was later removed and U.S. diplomats were ordered to suppress all international discussion about 'Novichok' agents. The U.S. military chemical weapon laboratories work in close cooperation with Porton Down. Porton Down continues to receive tens of millions of U.S. military research money for its chemical weapon experiments including tests on animals. The UK government surely knew that 'Novichok' agents can and have been produced by other actors than Russia. 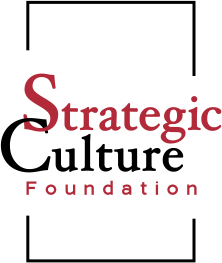 British and U.S. media aligned with the ongoing anti-Russia campaign now downplay the earlier claims of the British government. "… Russia requested the meeting to address the UK government's suggestion that it was behind the poisoning …"
"… the fact that the Novichok was produced in Russia .. left us with no choice but to conclude… "
The British authorities have blamed Russia for the March 4 poisoning, with Foreign Minister Boris Johnson suggesting it was “overwhelmingly likely” that President Vladimir V. Putin had ordered the attack. [T]he Government have concluded that it is highly likely that Russia was responsible for the act against Sergei and Yulia Skripal. Based on that 'conclusion' the British government threw out 23 Russian diplomats from their embassy in London. There was nothing 'suggestive' with that. The UK’s flagrant hysteria of the last weeks, the war cries and spittle-flecked abuse is all being airbrushed away and being replaced with the idea the UK simply requested Russian co-operation and Russia refused – preferring to make nasty insinuations instead. To claim that Russia did not cooperate is another lie told to cover up for the now debunked ones. The Chemical Weapons Convention, which Britain and Russia have signed, dictates the procedures that must be taken when chemical weapon allegations are made. They foresee the involvement of the Organization for the Prohibition of Chemical Weapons (OPCW). [Russian Foreign Minister Lavrov] added that a case of alleged use of chemical weapons should be handled through the proper channel, being the Organization for the Prohibition of Chemical Weapons (OPCW) – of which both Russia and Britain are members. The request from the British government to the OPCW was sent on March 14, ten days after the incident happened, two days after the Prime Minister made her "highly likely" claims against Russia and one day after Lavrov publicly insisted on OPCW involvement. It is obviously the British government which at first rejected OPCW involvement and not the Kremlin. The OPCW is by statute a technical agency, not a court. It will release a technical assessment of the involved agent and not a judgment on responsibility or guilt. The attempted cover-up by the Foreign Office of the lies the British government spread about the case has already failed. 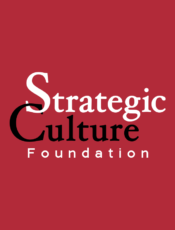 To play down the original strong claims against Russia as mere 'suggestions' is comical. Allegations that Russia was or is holding up a serious international investigation are also false. It was Britain which at first rejected the CWC and OPCW involvement. The fact that the British government even makes these attempts must be seen as acknowledgement that it has no case and lied in it its official statements to the global public. It now covers its trail with more lies. What else is the British government lying about?